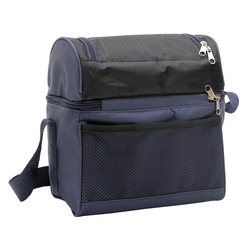 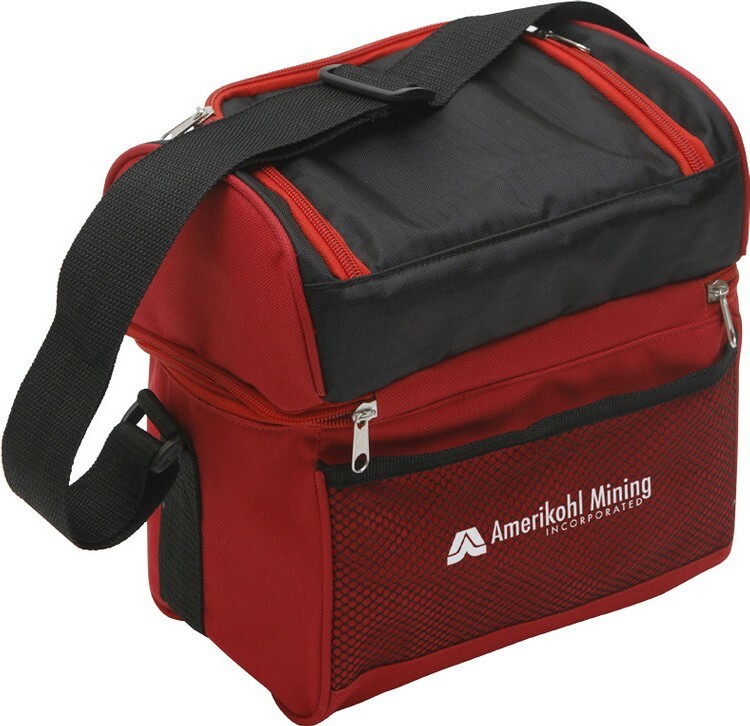 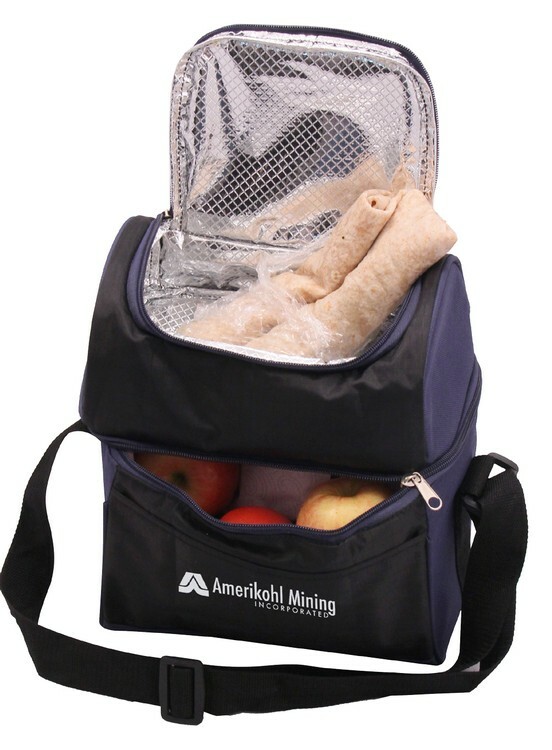 This handy cooler bag features soft-side construction and two separately insulated compartments that allow you to carry hot and cold items at the same time. 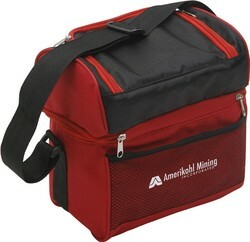 Perfect for bringing a warm lunch and cold drinks to picnics, parties, and outdoor events. 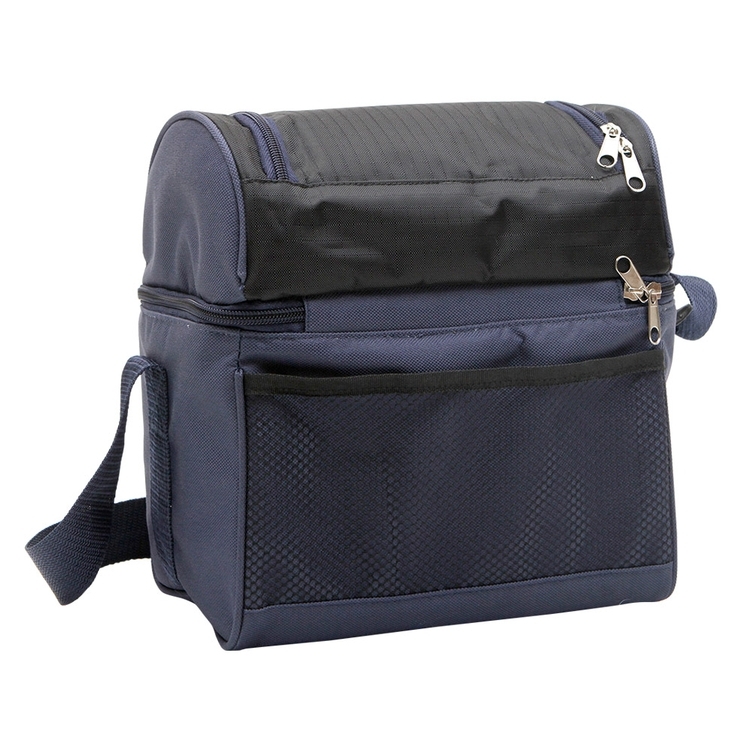 Designed with a front pocket and rear mesh pocket for added storage space. Use this bag on school trips, vacations, or as a regular lunch box.